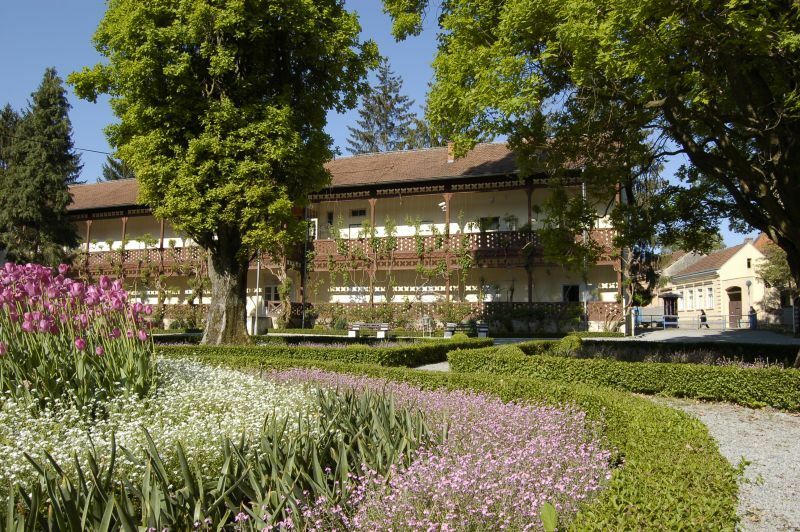 Daruvar Thermal Spa – cure for body and soul! Termal - It is the health facility of higher category with 157 accommodation units in single and double rooms and suites. 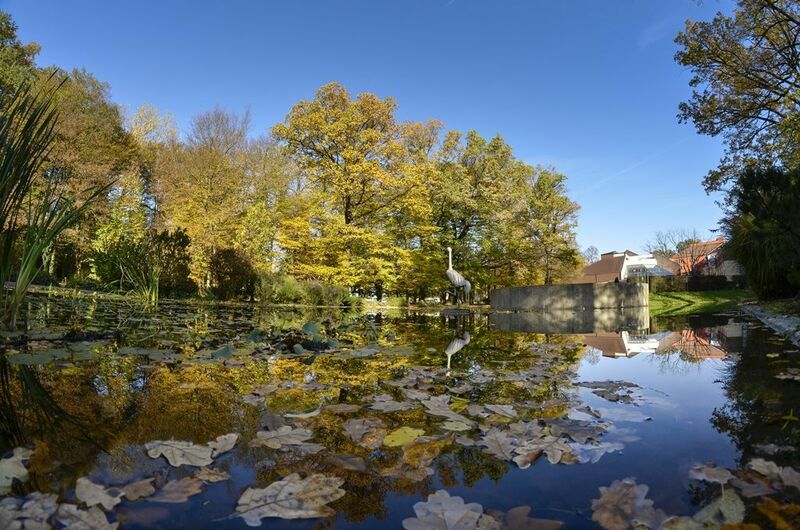 The accommodation complex is located in centuries-old park, surrounded with the sports grounds and the lake. Within the complex there are outdoor and indoor swimming pools with thermal water, sports hall, fitness centre (saunas, massages, Jacuzzi, zone for facial and body care), turbo solarium as well as medical part with complete medical and rehabilitation facilities. 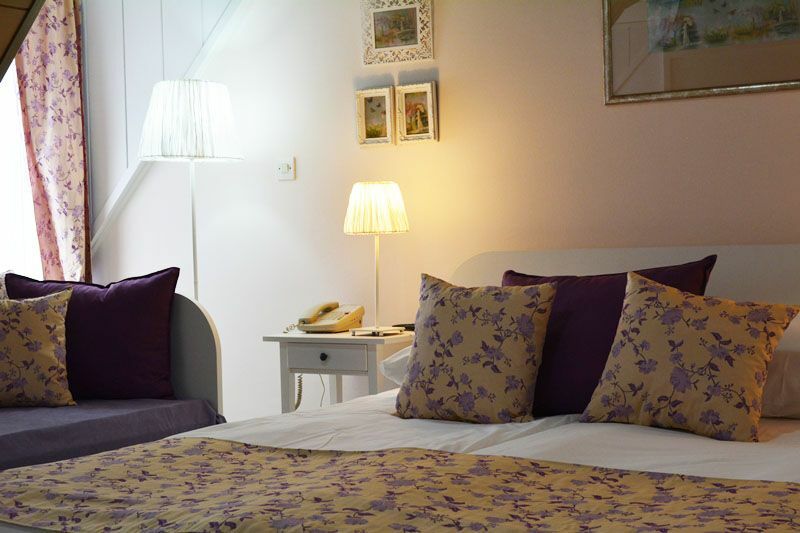 Arcadia - It is the accommodation facility of „Daruvarske toplice“ that has at disposal 25 beds. 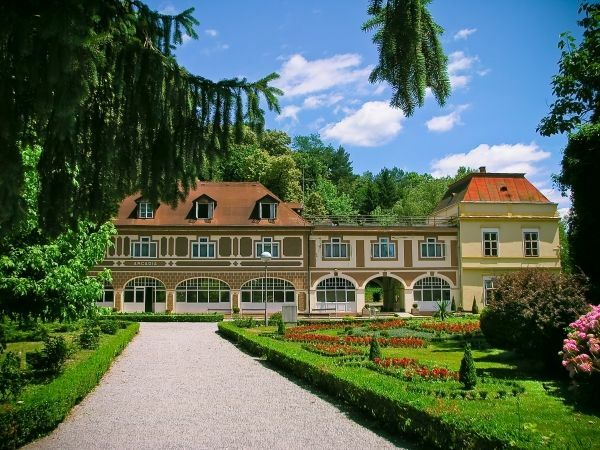 It is located in beautiful old part of the complex of “Daruvarske toplice” surrounded with rare and exotic species of trees and flowers, thermal springs, ancient baths and historic buildings, just near the centre of the town. Next to “Arcadia” there is an excellent restaurant “Terasa” with unique ambiance and excellent choice of quality dishes and drinks. 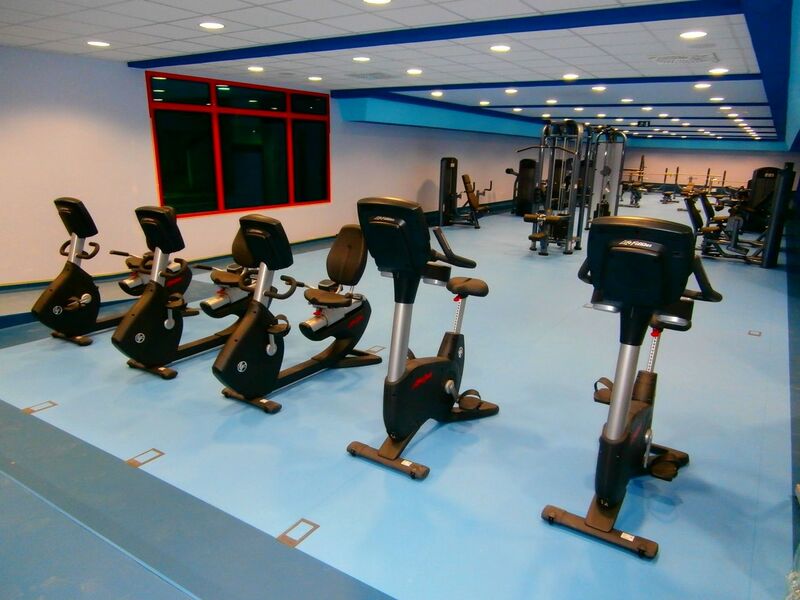 The new fitness room, on more than 400 m2, is equipped with modern equipment - from complete cardio program - treadmills, bikes, orbitrek, steppers, rowing machine, to isotonic devices and benches and heavy weights. Wellness centre in „Daruvarske toplice“ is discreetly integrated in nature, right on the springs of thermal water and healing mud. 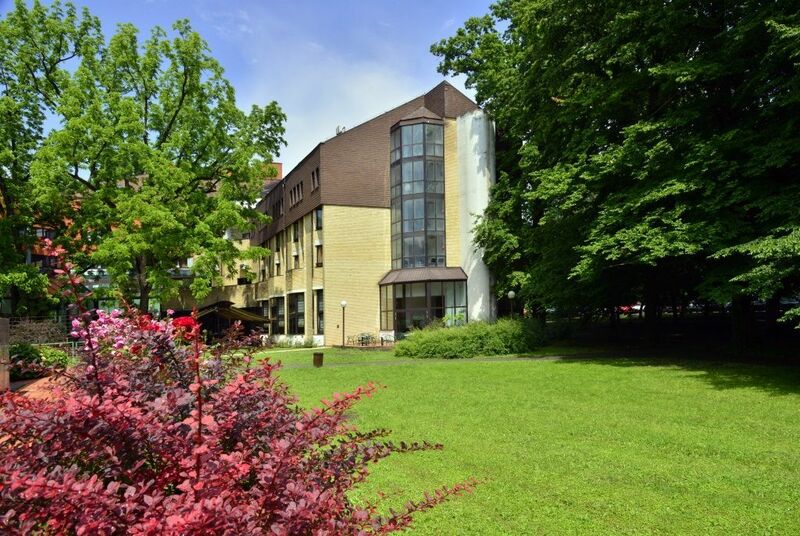 The world of wellness-spa oasis in „Daruvarske toplice“ presents an additional facility for health maintenance with natural healing factors. Healing thermal water is exceptionally useful in health tourism and recreation. Bathing in thermal water is recommended especially at diseases of joints, tendons, muscles, blood vessels, peripheral nerve lesions, at gastrointestinal, gynaecologic and even psychosomatic diseases and at difficulties such as stress, fatigue, reduced concentration and memory, hypersensitivity, irritability and sleeping disorder. 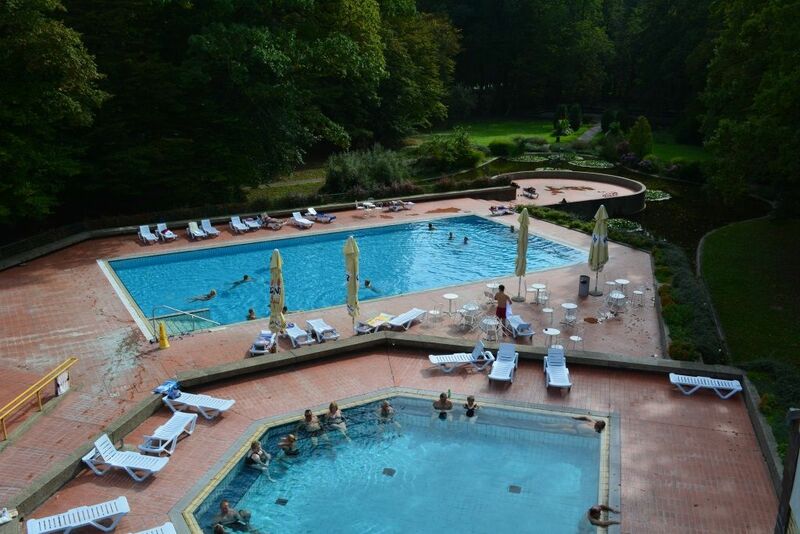 On the area of 1800 square meters there are three swimming pools (two outdoor and one indoor) with healing thermal water (water temperature: 28ºC - 35ºC) and with whirlpools. Useful and healing effects of thermal water in this region were known even to the ancient Romans who cured themselves with hot, warm and cold baths. Admission is charged by the price list, which can be found at the hotel reception. The world of massages - zone for facial and body care (lymphatic drainage, anti-cellulite massage, facial massage, anti-stress massage, sports massage, medical massage, hot stone massage (with stones of volcanic origin). Staff in the wellness speaks Croatian, English and Czech. We are among few of those who provide individual treatments of injured athletes (functional isokinetic diagnostics – system Biodex) under the supervision of professional team of specialists of sports medicine and kinesiologists. Many world-class athletes, Ivica Kostelić, Janica Kostelić, Ana Jelušić, Natko Zrnčić-Dim, Zlatko Horvat, Sandra Perković, Mirko Filipović, Mario Ančić and many others, recognized work quality of our professional team. Individual medical treatments of athletes are carried out in Department for prevention and the treatment of sports injuries, under the supervision of the team of specialists of sports medicine and kineziologists. „Daruvarske toplice“ is well known sports centre of continental Croatia and many people have recognized it as an ideal place for preparation of sport teams and national team as well. 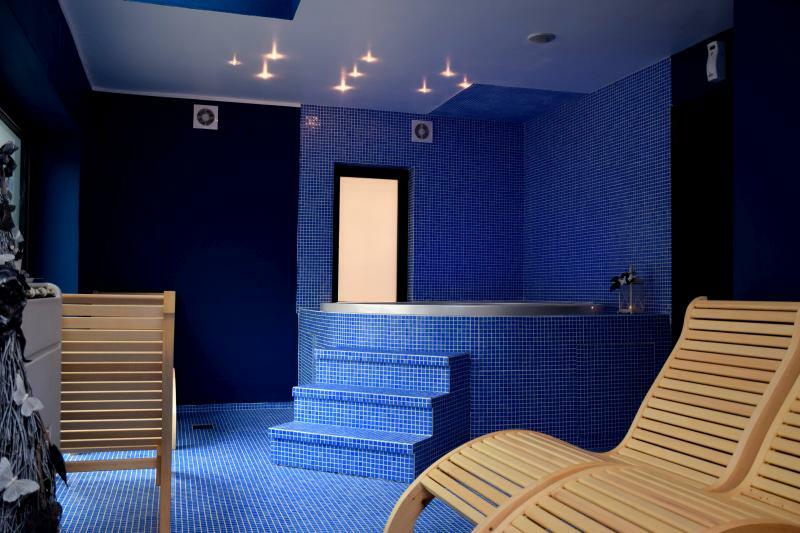 The main natural healing factors in special hospital are thermal water and mineral mud (fango). By composition and balneal classification water is acratotherme i.e. indifferent water with mineralisation less than 1 gr/lit. Average water temperature is 46,6°C although there are minor differences at some water springs. In chemical analysis prevail calcium and magnesium from cations and hydro-carbonates from anions. 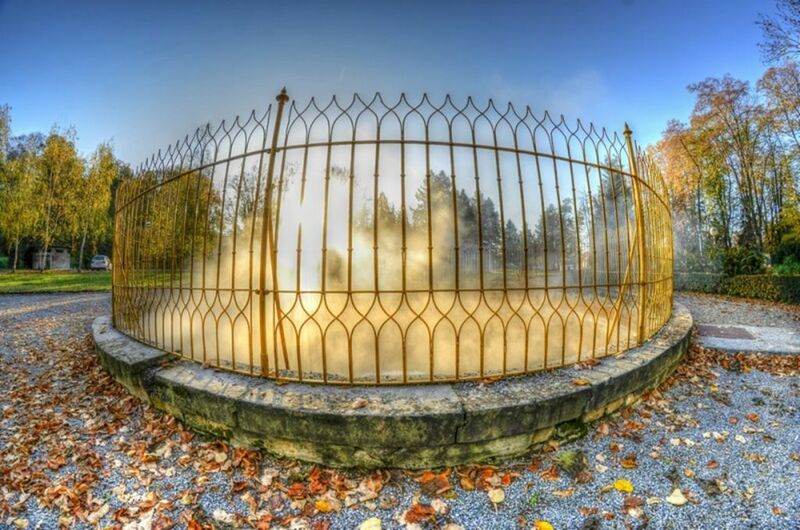 Capacities of the water springs are sufficient to meet the present needs. Resources of the mineral mud are nearby the springs. Mineral mud has its origin in centuries-old process of decomposition of organic and inorganic substances caused by water and atmospheric agents and large variations of soil temperatures. By composition it is heavy bluish-gray clay with fine particles and grains of quartz-sand. The mud (fango) effects therapeutically to an organism owing to its physical properties primarily high thermal capacity and low thermal conductivity. To maintain health in the first place means to take care of yourself and “Daruvarske toplice” wants to help you. Through the use of natural healing factors (thermal water and mineral mud) and by up-to-date therapeutic procedures ordered by our specialists, you will achieve desired results of the treatments. Give yourself up to the skilful hands of our professional team, choose one of the health programs that meets your needs best and get back in form! In this spa town, of ancient name Aquae Balissae, the first thermal springs were arranged in 288 BC. Roman soldiers, medieval peers, Turkish Beys, Austro-Hungarian aristocracy as well as artisans and bourgeoises highly appreciated the benefits of that area. A number of material evidence about it was found. Empress Maria Theresia granted those land properties to the count’s family Janković in 1745. That was the beginning of the period of 150 golden years of Daruvar. Central Mud Bath (1909) built in Moorish style with large cupola which became a symbol of the town. Wine route “Vino Via” presents special tourist offer with tasting rooms where you can taste quality Daruvar wines: Graševina, Rhine Riesling, Chardonnay and Sauvignon. One of the most famous archaeological findings in Daruvar is emperor’s Diatretum Cage Cup exhibited at the Kunsthistorisches Museum in Vienna. 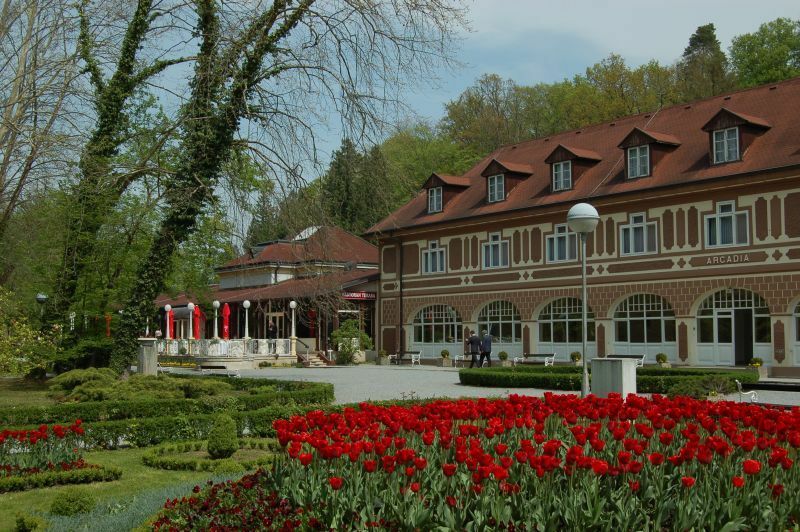 Daruvar Spa provide numerous opportunities to organize seminars, symposiums and business meetings. - Room "Thermal II" - the capacity of the hall is up to 70 seats, air-conditioned, adapted to meetings and seminars. It is equipped with a projection screen, flip chart, portable blackboard, LCD projector and TV, sound system. Adjusted for the different settings: theater, school, U, I, is multifunctional, as it can separate the opaque door, so you can simultaneously operate two groups in parallel, without interference. Both rooms have a complete equipment. - The area of ​​the restaurant "Terrace" - capacity of the area is up to 150 seats, air conditioned and adapted to organizing major conferences and seminars. The room is equipped with a projection screen, flip chart, LCD projector, LCD TV and portable blackboard. 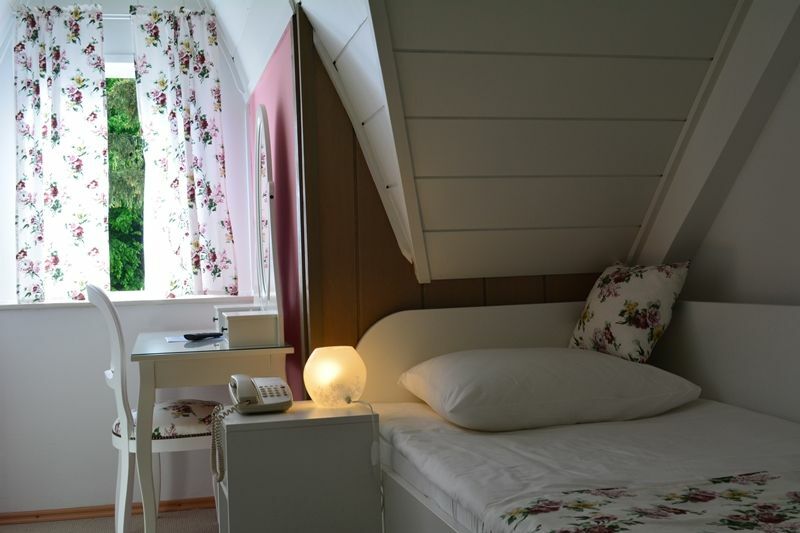 The restaurants have very comfortable and intimate interiors and excellent choice of dishes, drinks and sweets and they will additionally complete your pleasant stay in “Daruvarske toplice”. 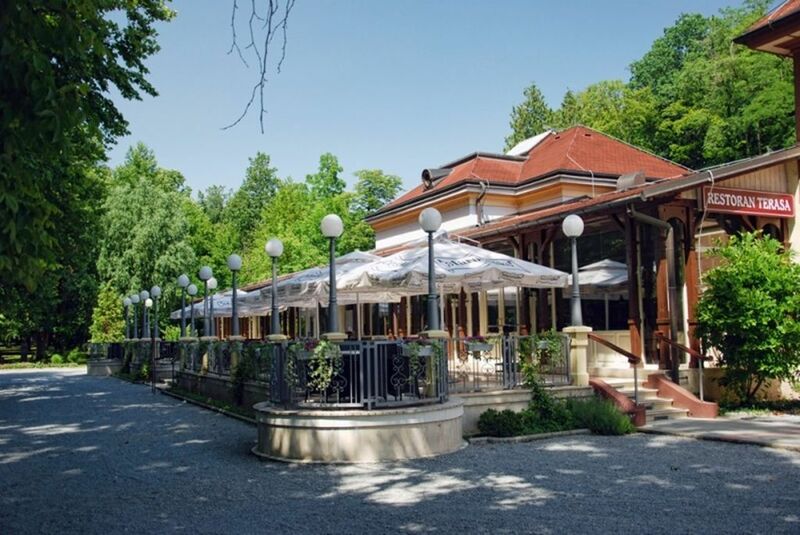 The restaurant “Terasa” is integrated in the central part of Julije’s park. It has 180 seating places, spacious dancing podium and an outside terrace with nice garden furniture. 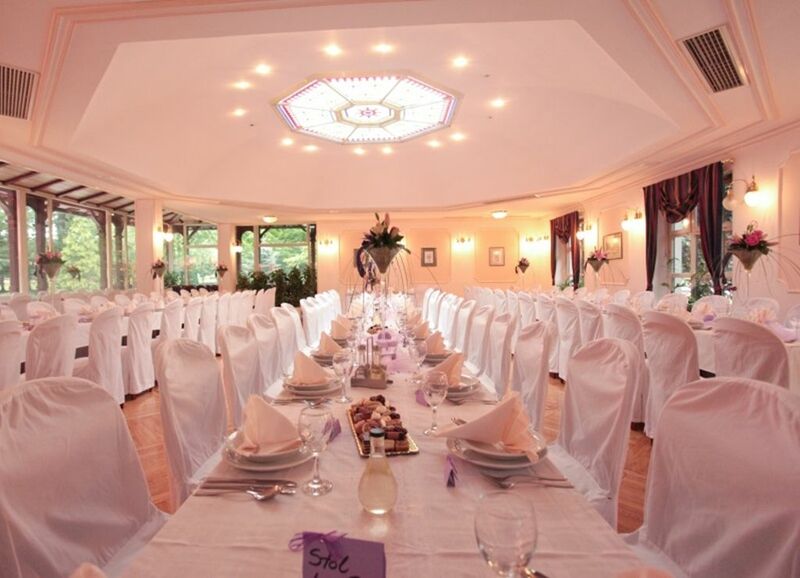 The restaurant is ideal place for organizing of weddings, parties, school leavers’ balls, birthday parties and other occasions. 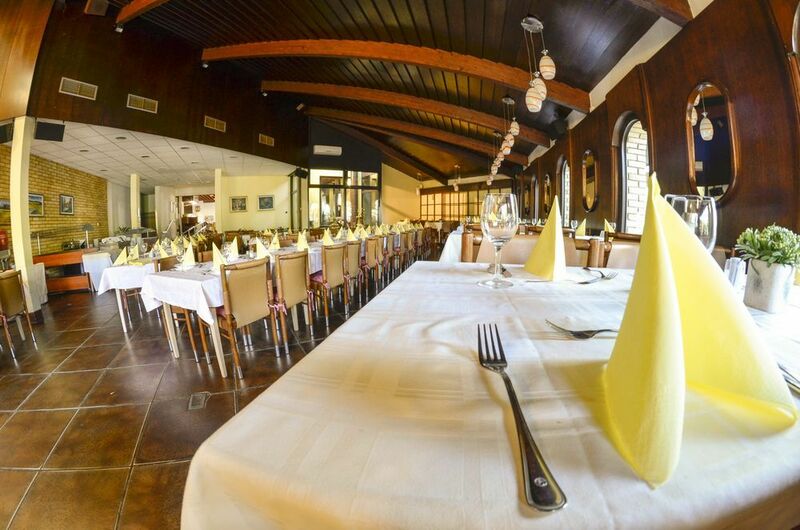 With its catering offer and quality services, restaurant “Terasa” holds a leading position in the county and beyond. The restaurant “Terasa” received several important awards, especially should be pointed out: “Croatia’s Top 100 Restaurants” of Croatian Chamber of Economy (CCE) and golden award “Green Flower” of Croatian National Tourist Board for “The Promenade and the Restaurant “Terasa” 2004”. 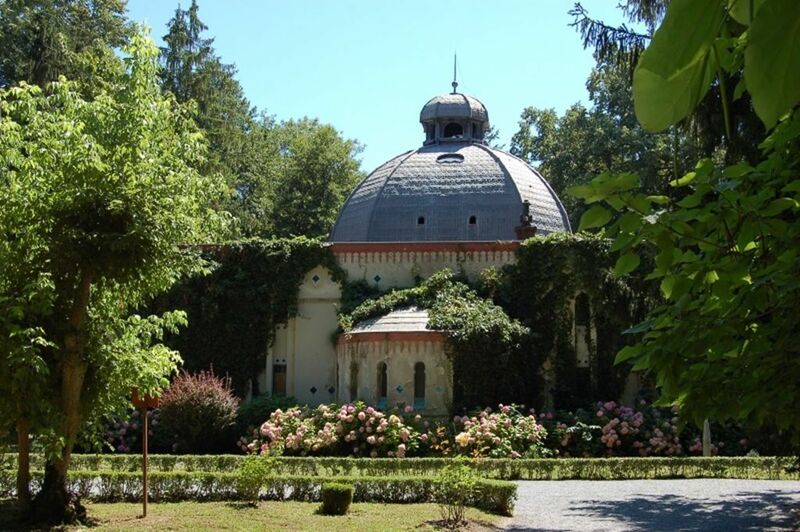 „Daruvarske toplice“ is located in the north-eastern part of the town Daruvar, in beautiful centuries-old park full of exotic species of trees, flowers and other plants, only few minutes walking distance from the centre of the town. 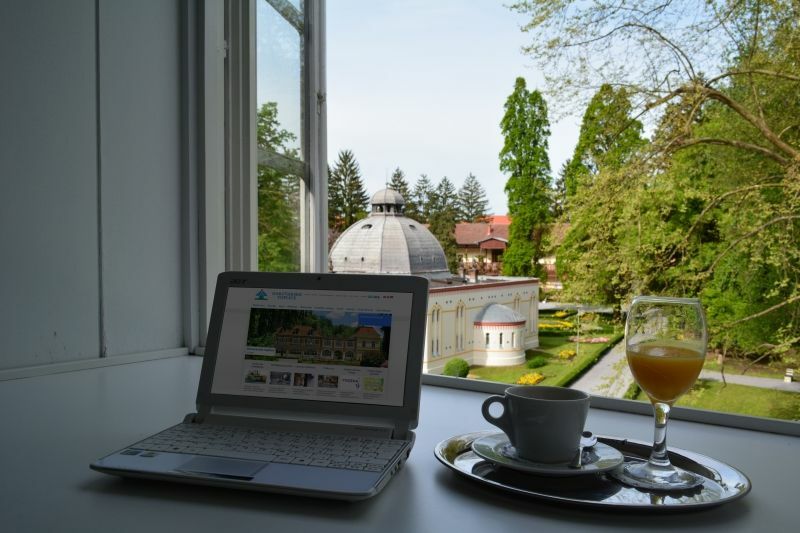 All medical, accommodation and administrative facilities of „Daruvarske toplice“ are placed just in this unique beautiful environment. 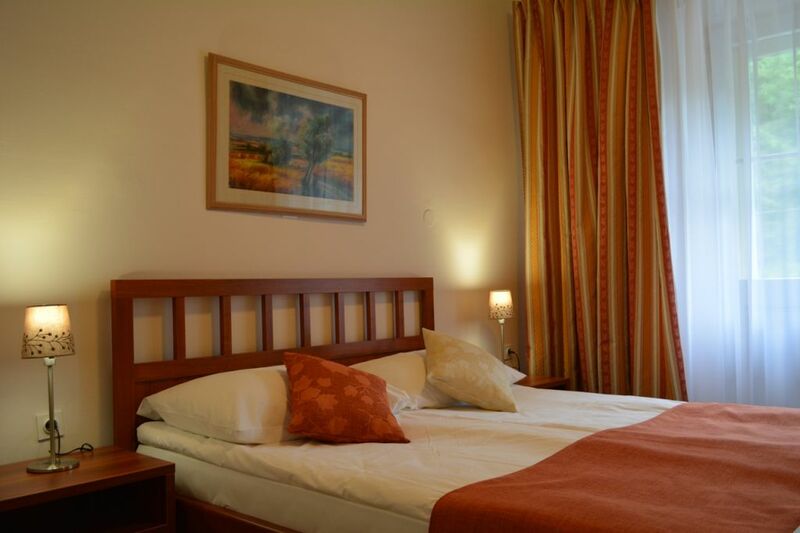 Daruvarske toplice“ has two accommodation buildings with restaurants and other facilities.